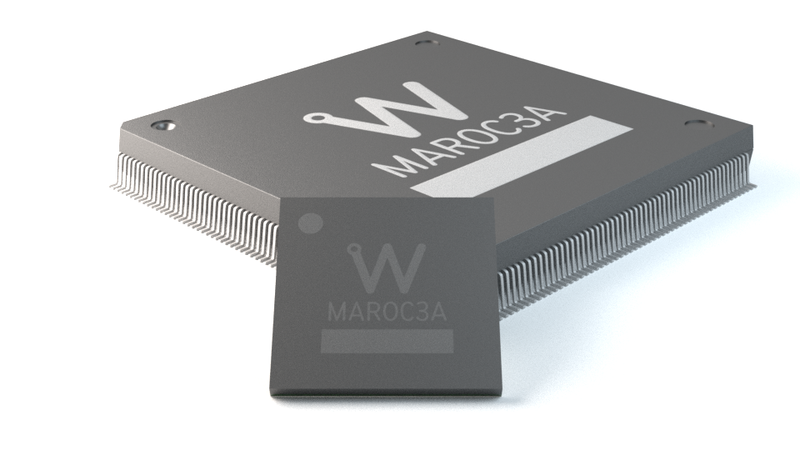 MAROC 3A is a 64-channel front-end ASIC designed to readout negative fast input current pulses such as those provided by Multi Anode Photo Multipliers. Each channel provides a 100% trigger rate for signal greater than 1/3 photoelectron (50fC) and a charge measurement up to 30 photoelectrons (~ 5 pC) with a linearity of 2%. The gain of each channel can be tuned between 0 and 4 thanks to an 8 bit variable gain preamplifier allowing to compensate the non- uniformity between detector channels. A slow shaper combined with two Sample and Hold capacitors allows storing the charge up to 5 pC as well as the baseline. In parallel, 64 trigger outputs are obtained thanks to two possible trigger paths: one made of a bipolar or unipolar fast (15 ns) shaper followed by one discriminator for the photon counting and one made with a bipolar fast shaper (with a lower gain) followed by a discriminator to deliver triggers for larger input charges (> 1 pe). 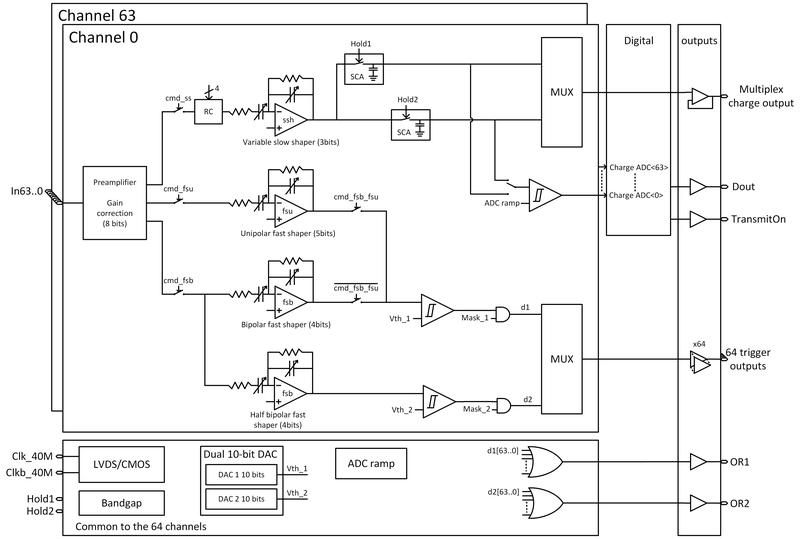 The discriminator thresholds are set by two internal 10-bit DACs. A digital charge output is provided by an integrated 8, 10 or 12 bit Wilkinson ADC.